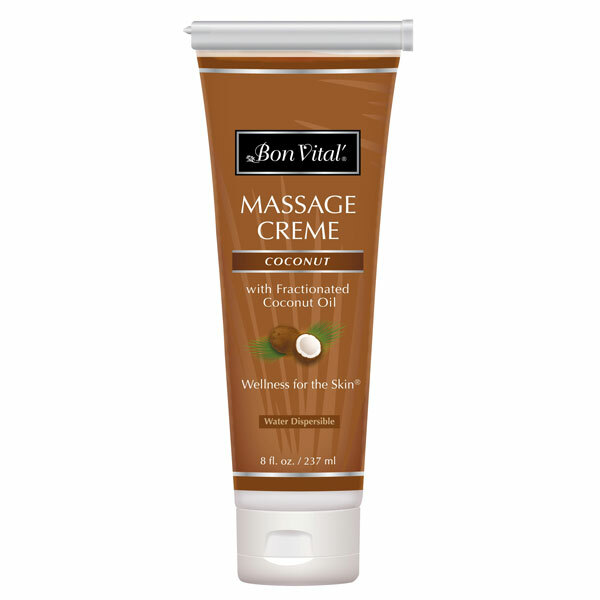 Bon Vital' Coconut Cre provides countless skin nutrient benefits for an enhanced, relaxing massage. Bon Vital' Coconut Cre provides countless skin nutrient benefits for an enhanced, relaxing massage. The thick texture provides a more controlled glide and easier absorption. Contains natural antioxidants to prevent premature aging. Ideal for all massage modalities, including Swedish, Deep Tissue, Sports, and Shiatsu massages. Made with 100% pure Fractionated Coconut Oil, it is unscented, paraben free, and water dispersible.